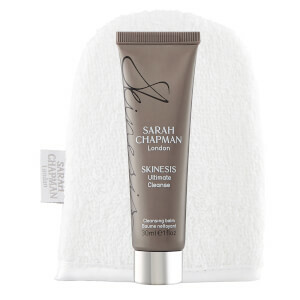 Experience superior cleansing with Sarah Chapman's Skinesis Rapid Radiance Cleanse, a luxurious and transformative cleanser that works to revitalise the look of tired, wanting skin. Combining rare clays with a blend of lactic acid and salicylic acid, the high-performance formula helps to unveil a bright complexion, decongesting pores and combatting dull skin whilst absorbing excess oil and fading pigmentation for skin that looks naturally flawless. Its cool, creamy texture comforts the skin and refines its texture, softening the appearance of lines and pores for skin that looks smooth, supple, radiant and hydrated. Its concoction is complete with an uplifting blend of essential oils for an energising boost. - K.N. This product is conveniently packaged in a hygienic pump dispenser to protect light and air sensitive ingredients and avoid any unnecessary wastage. Gently massage all over the face, neck and behind the ears, avoiding the eye area. Splash away with water or wipe away with our Professional Cleansing Mitts. 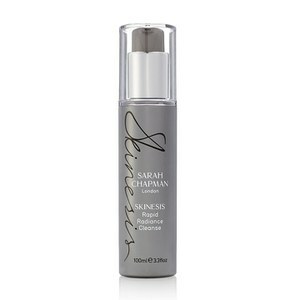 This product is really creamy and smells lovely. Washes off well and left my skin feeling very soft. Would buy again.